.A cold front accompanied by widespread showers and isolated thunderstorms will impact the area Today. Rainfall of one to two inches across the watch area is anticipated. Saturated ground combined with additional rainfall may produce localized flooding problems today. 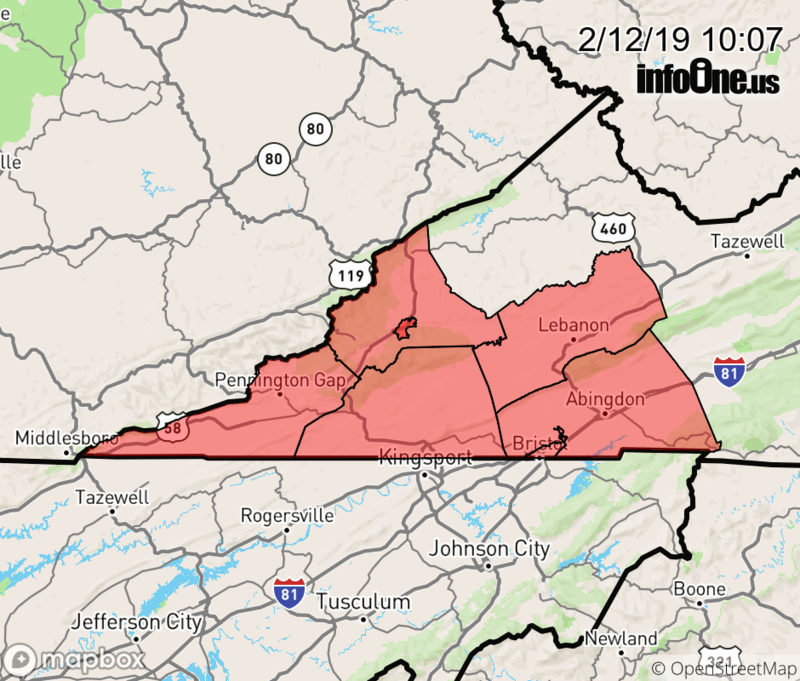 The Flash Flood Watch continues for * Portions of East Tennessee and Southwest Virginia, including the following areas, in East Tennessee, Anderson, Campbell, Claiborne, Grainger, Hamblen, Hancock, Hawkins, Jefferson, Johnson, Knox, Morgan, Northwest Carter, Northwest Greene, Scott TN, Southeast Carter, Sullivan, Unicoi, Union, and Washington TN. In Southwest Virginia, Lee, Russell, Scott, Washington, and Wise. * Until 7 PM EST this evening * Moderate to heavy rainfall combined with already saturated soils will result in significant runoff and potential flooding. * People in the watch area should be aware of the possibility of heavy rainfall. Avoid low lying areas and flooded roadways. River flooding is also possible. Remember, turn around! Don`t drown!